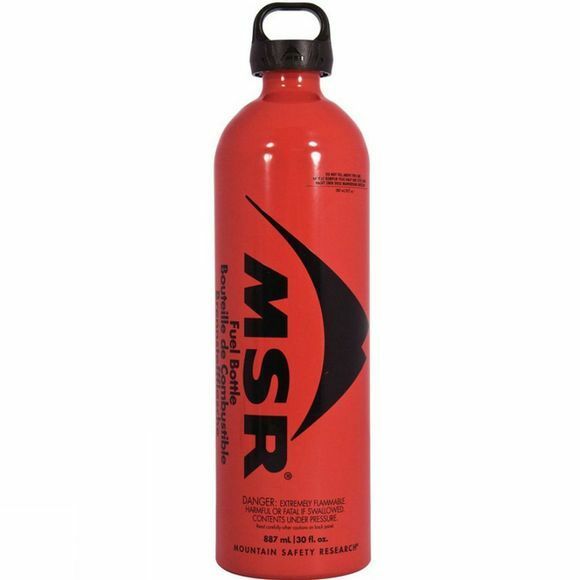 The Fuel Bottle 887ml from MSR is designed for use with MSR Stoves as both pressure vessels and storage containers. Impact extruded from a single piece of Aluminum which means no seams or welds, these bottles are thicker at the corners and shoulders to avoid bulging under pressure. Leaks are prevented by machining the threads right into the neck of the bottle, instead of using a separate threaded metal insert. The pump can be stored inside a depressurised bottle for easy transportation.